The case had been delayed 19 times. At the last court date, the alleged victim was unwilling to testify, the DA’s office said. And the local superintendent of schools wants to convert two of his direct-run schools to charters. Ronald Johnson left the school the day after the alleged incident. His case has been delayed 15 times. ReNEW was formally notified of the violation Tuesday. Until now, the selection process has taken place in private, which appears to violate the state Open Meetings Law. State required the network to hire a consultant to comply with corrective-action plan after cheating. 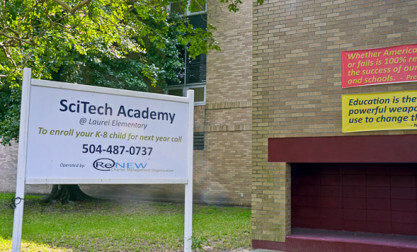 Two school leaders at SciTech resigned last month for testing irregularities. Trained in counseling and special ed, the teachers know how to deal with kids in crisis. Charter management group says it has budgeted $1.5 million in anticipation of legislation requiring new funding formula for state teacher pensions. Three candidates short-listed as board’s search for a new development director continues. School leaders exercised more control over their own budgets, which helped the charter network’s finances. Based on 2013 test scores, are the students who left the Recovery School District’s four failing schools in better academic environments than before? If they left Mays and Henderson, they generally are. But not if they left Abramson and Johnson. CEO Kevin Guitterrez said he thinks Sprint will discount the school system’s telecommunications bills if subsidies fall short. Schools for students with special circumstances do not perform well in state evaluations under current criteria. The federal government would’ve paid most of that if reimbursement deadlines had been met. Schools to be open for tours on Tuesdays and Thursdays. State’s new, more rigorous standards pose a problem for alternative charter school. The federal government should have paid for most of the meals, but months passed before ReNEW provided the proper documentation. Since then, RSD has been trying to get the money from ReNEW. How much is owed? RSD says it’s about $496,000; ReNEW says it’s about $232,000. Take over of Schaumburg Elementary means more revenue and more expense. The network’s revenue will increase from $27 million to about $33 million next year as a result of the takeover. A public hearing on the $33 million budget will be held Thursday, May 9, at 5:30 p.m. ReNEW schools enrolled more students than projected this year, resulting in an increase in per-pupil funding, official says. Board members recently learned the charter management organization had only received $1,800 of the budgeted $755,922 as of Jan. 31. E-rate reimbursement is slow, too, as officials from the federal program review how ReNEW is using the telecommunications dollars. ReNEW’s board of directors voted Thursday to expand the four-school network by taking on another school next year. ReNEW currently serves about 2,400 students and with the additional elementary school, the network will aim to serve 3,300 students. Between 20 and 25 percent cumulatively of last year’s top undergraduates did not re-enroll in ReNEW schools this year, chief executive officer Gary Robichaux told the charter management organization’s board of directors at their monthly meeting in October. Robichaux cited the state voucher program and low school performance scores—both SciTech and Batiste Cultural Arts Academy are ranked “F”—as prime reasons for the drop-off. During the ReNEW Schools board meeting Sept. 13, board member Kathy Conklin led discussions regarding bylaw revisions to the Charter Management Organization document. An “End of Year Field Studies” program that aims to send nearly seven hundred students to centers of art and science throughout the country was announced at the monthly ReNEW Schools board meeting, August 9. The program, created by recently-appointed Development Director Pete Rodway, is designed to offer students educational trips at year’s end to enhance their learning outcomes. Inspect the budget for the ReNEW schools here. The ReNEW board meeting agenda can be found here. ReNEW’s board of directors learned at its June meeting that two of the network’s three elementary schools will likely meet their internal school performance score targets. Chief Executive Officer Gary Robichaux said SciTech Academy and Reed Elementary are predicted to score 71 and 65, respectively. 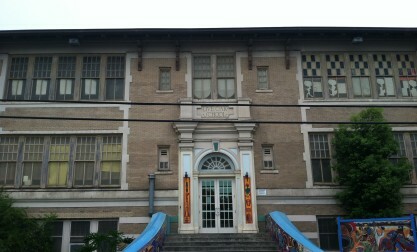 Robichaux’s predicted score of 63 for Batiste Cultural Arts Academy is five points below ReNEW’s target score. With those scores, each school would receive an ‘D’ ‘F’ grade for performance. At their monthly board meeting, May 10, ReNEW’s board of directors learned about new programs and cuts to anticipated funding reimbursements. Controller Tanya Bryant said cuts from the federal Title I program – which augments funding for low-income and at-risk students – came to about $80,000 after it was determined that students over age 18 do not qualify for the support. The ReNEW Board of Directors discussed a shortage in federal funding for students at its accelerated high schools on Thursday. Some students at the accelerated high schools aren’t eligible for federal Title I funding, the board has learned. Review the agenda for the April 12 meeting here. School leaders within the ReNEW network will have a bigger say in next year’s budgets, the ReNEW charter management organization announced at the monthly meeting of its board of directors, March 8. ReNEW’s chief executive officer Gary Robichaux informed the board that school leaders planning for the upcoming year will be given a template with which to make decisions on such issues as transportation and faculty needs, based on projected enrollment. Directors of ReNEW Charter Schools met with Recovery School District officials, and also received a $50,000 donation at their monthly board meeting, Feb. 9. Intersession results from two schools and a second-quarter drop in attendance at another prompted questions from ReNEW’s board as they met on Nov. 10 to discuss the charter schools they supervise. Test results from two schools and a drop in second-quarter attendance at another prompted questions from ReNEW’s board during its Nov. 10 meeting. 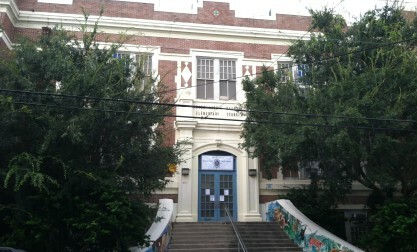 The ReNEW Charter Schools Board of Directors met Oct. 13 at Batiste Cultural Arts Academy at Live Oak. In addition to expected updates, the meeting included presentation of a $50,000 grant from State Farm and the announcement of another $400,000 grant from the NewSchools Venture Fund. Correction: This story has been corrected to reflect that the BESE Candidate Forum was co-sponsored by the Charter Board Council, of which ReNEW is a member. A previous version stated that the event was sponsored solely by ReNEW.